Apart from pleasant new experiences, summer is also filled with danger. Fortunately, if you have a smartphone on you, you’re never alone. The same device that helps you find your way around Paris and waste your time watching videos of Shiba Inu, has the capacity to save your life too. The combination of wireless connection, GPS, and camera, makes every smartphone a safety device that is available nearly to anyone. 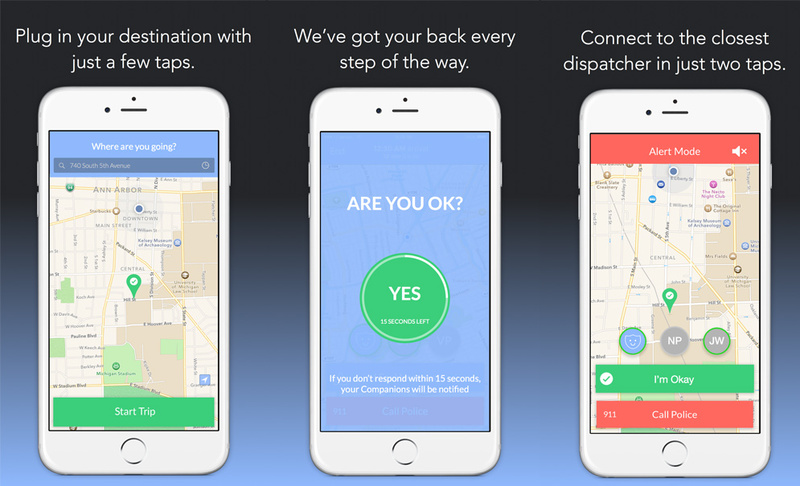 Whether you’re walking home alone at night, have concerns about the safety of your children, or perhaps you’ve just heard suspicious noise in your house—for each of these problems, there’s an app that helps you address it. 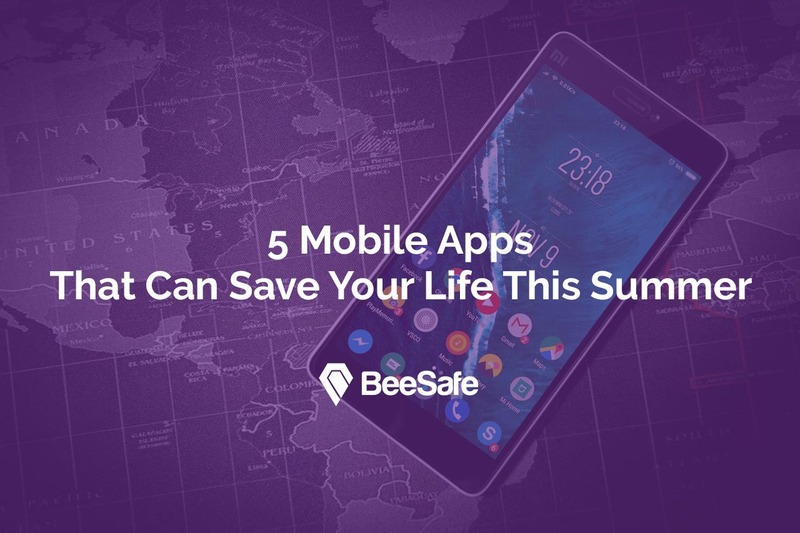 We bring you 5 safety apps that will help you stay safe this summer. In spite of their similarities, each of them is aimed at a different type of a user and deals with different problems. 1. Drunk Mode — For those who love summer festivals. Summer festivals and parties can quickly turn into stressful experiences if one of your friends goes M.I.A. Thanks to the app Drunk Mode and it’s feature “Find My Drunk” you’ll be able to find your friends as easily as they’ll find you. All you have to do is to add your friends as your “Drinking Buddies” through Facebook, Twitter, or a text message, and you’re all set. 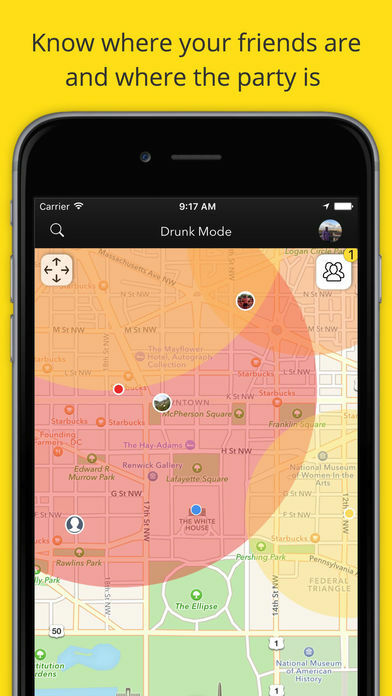 Drunk Mode will track your location through GPS. Moreover, if you lose track of what was happening the night before, you can see a list of the places you went to last night. At the same time, Drunk Mode can also protect you from making drunk calls and texts you might regret in the morning. In doing so, not only it protects you from losing your friends but also your dignity. In spite of Drunk Mode’s popularity at universities in the UK and US, it doesn’t run well on older Android devices. For this reason, some users complain about problems with the app’s stability. In any case, Drunk Mode is definitely worth trying. If you love to go wild on summer festivals, you should have this app installed. Download it on Google Play. 2. 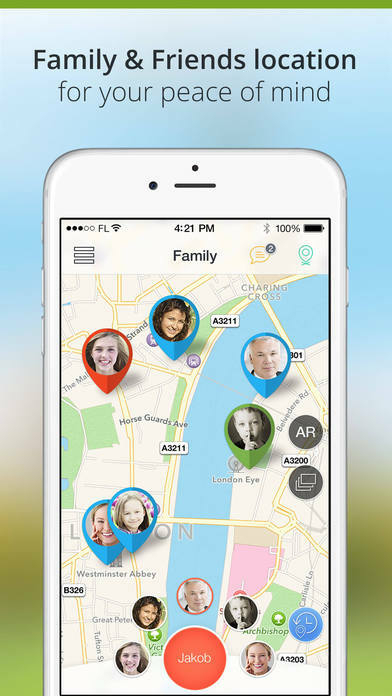 Sygic Family Locator — For families with children. Similarly to Drunk Mode, Sygic Family also allows you to share you location with your close ones. As its name suggests, however, it focuses mainly on safety of families with children. You begin by adding your close ones into Circles. As soon as they accept your invitation, you can begin to track their location on a map. The app will automatically notify you whenever they leave or arrive to places you consider safe (work, school, hotel). It will also tell you whenever your child comes to a place you deem unsafe. Instead of spamming your family with messages “Are you okay?”, you can discretely check it directly in the app. Sygic Family also allows you to set up when and with whom do you want to share your location. In case of an emergency, you can notify your contacts so they can come to your rescue. Finally, if you lose your device, Sygic will help you find it. The app doesn’t offer a wide range of advanced security features. However, what it sets out to do, it does well. It was not by an accident that Sygic has become huge in the car navigation market. For some, it might be problematic how this app handles privacy. The members of your group can see where you are every time you turn on the tracking, not only in case of emergency. It’s definitely not a deal-breaker but still something to consider. In conclusion, if you’re looking for a simple and dependable tool that would allow you to track movements of your closest ones, look no further. Whether you want to use it during a normal day or on a holiday, Sygic Family Locator is an excellent choice. Companion wants to be your friend for a rainy day. Although it’s popular mainly at American university campuses, it’s perfectly usable in any other part of the world. Similarly to other app on this list, you begin by adding contacts of people who’ll be your “companions”. They don’t even need to have the app installed. After that, all you have to do is to enter your destination and you’re ready to go. If you don’t arrive to your destination on time, begin to run, someone yanks your headphones off, or your phone falls on the ground, Companion will ask you if you’re all right. Then you have 15 seconds to reply. If you don’t the app will automatically notify your companions that you might be in danger. You can also send the notification yourself or call 911 with a single tap directly from the app. Similarly to the previous solutions, Companion is not without a fault. When we were testing it, the app would sometimes finish tracking before we could enter the building, leaving there a window for an attacker to act. Also, some features are only available in the US and people from other parts of the world cannot take advantage of them. In most cases, however, Companion fulfils it’s purpose reliably and is certainly worth consideration. No other security app does offer so many ways of initiating a call for help. Download it on Google Play. Instead of the complexity of the previous solutions, Kitestring offers minimalistic simplicity. It doesn’t require GPS, internet connection, not even a smartphone. Kitestring functions exclusively as an SMS service. All you need to do is to enter your phone number at kitestring.io. This is also where you can add emergency contacts as well as modify the contents of the notification they will receive. When you’re done, all you have to do is to send a text message with the number of minutes in which Kitestring should check on you. Once the time runs out, Kitestring will send you a text message. If you don’t reply within 5 minutes, your contact will receive the emergency notification. This is why the service will issue a call for help even if you run out of battery or lose your phone. The man downside of this solution is that it cannot call for help immediately. 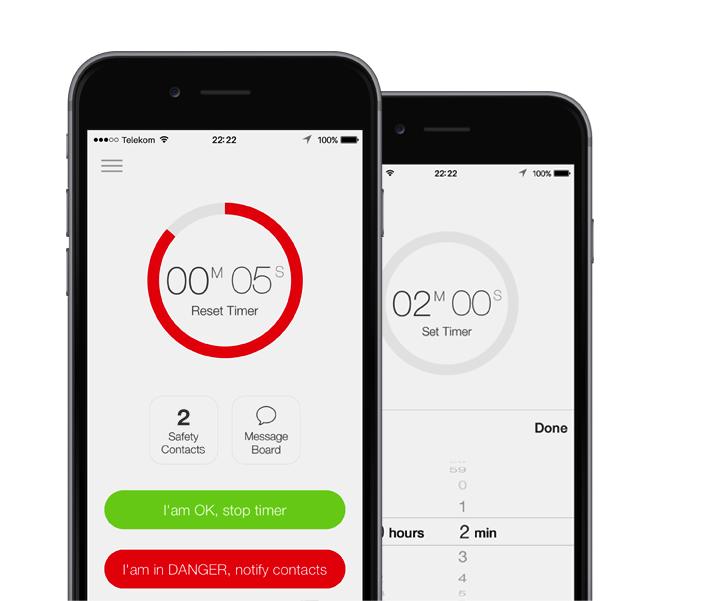 If you find yourself in a dangerous situation, Kitestring will only call for help after the timer runs out. Even then, however, your contacts won’t receive your GPS location. Unfortunately, this is the consequence of the service’s strict minimalist design. In spite of its shortcomings, Kitestring has a lot to offer. Since it doesn’t drain your battery and doesn’t require an internet connection, it’s a perfect back-up solution. 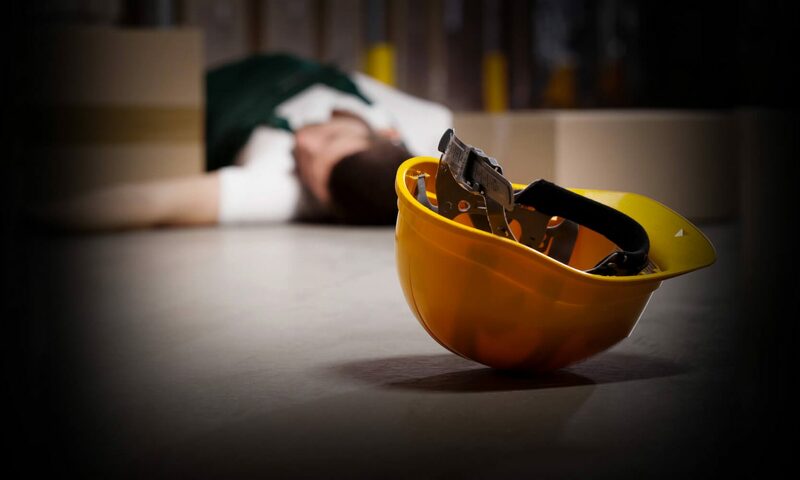 We especially recommend it in combination with some of the full-fledged safety apps. BeeSafe is a well-balanced mobile safety app that is ideal for lonely walkers who also prize their privacy. Similarly to Companion, all you have to do is download BeeSafe, sign up, and set up your emergency contacts. Before every trip, you set up a timer and you’re ready go. Shortly before the timer is about to run out, the app will prompt you to reset it. If you don’t, your emergency contacts will receive an emergency notification together with your present location. Just like Kitestring and Companion, BeeSafe can issue a cal for help even if you cannot call for it yourself. However, BeeSafe also wants to preserve your privacy, as it only relays your current location in the case of emergency. Unlike other solutions, BeeSafe also never stops tracking your position prematurely but only once you turn the tracking off. Finally, if you own a Flic button, you don’t even have to take the phone out of your pocket. For some, the main disadvantage of BeeSafe might be its price, since the company recently switched to a paid model. Moreover, it doesn’t offer as many methods of activation as, let’s say, Companion. In the end, however, BeeSafe offers a great compromise between the simplicity of use and reliability. Moreover, if you don’t want to trade your privacy for safety, BeeSafe is exactly what you’re looking for. Download it on Google Play.